He leaned closer, giving her access to reach him without overwhelming her. When she still didn’t touch him, he took her small hand in his and pressed it against his cheek. He’d had years to dream about this day. He’d waited until the time was right, agonized over the best way, and played this moment in his mind a thousand times. And yet, nothing prepared him for what it would be like to touch Skylar again. Tears streamed down her cheeks. She did nothing to wipe them clean. “Wha…where have you been?” A sob escaped her lips before she could finish. “We have plenty of time for that. I just want to hold you now for a minute.” And then he slipped his arms around her waist and pulled her close against his chest. The heat of her body penetrated the thin fabric of his shirt, bringing back memories of their burning love making on a hot evening. Wade turned to see which McKinnon Skylar was talking to and his heart filled with emotion beyond capacity when he recognized his best friend and brother Hawk standing there. Hawk didn’t look at Skylar or the mess on the floor around her feet that she’d just confessed to making. Instead, his brother had the same confused expression Skylar had greeted him with. The next moments were a blur filled with lots of tears and hugs and jumping up and down as Hawk pulled Wade outside into the yard and announced his return to the family. Each of the McKinnons ran to greet him. The moment that was most difficult was seeing his mother and how much the news of his death had worn her down. She still had the twinkle in her eyes, but the years had taken a toll. His father wrapped his arms around both Kate and Wade and gave them a long hug. “Now I believe in miracles,” he said. They made quick introduction of all the new people in the McKinnon family. Although Wade had been watching closely to make sure his family had been safe, he knew none of the details that changed the dynamics of his family. He quickly learned that Hawk, the closest in age to him, was now engaged to Regis, a beautiful woman who’d traveled the world with her father while he was in the military. His family as well as Hawk had won her over and now Regis was determined to dig some roots for the first time in her life here in Rudolph. Wade had known for some time that Logan had lost his wife, Kelly, nearly two years ago and that in the time he’d been gone, they’d had a son who was now five years old. But he was equally pleased to see that Logan’s old flame, Poppy Ericksen, had healed Logan’s broken heart. A wedding was already being planned for the end of the year. Wade didn’t think he’d ever seen Ethan, Logan’s twin, in love before. But after a stellar military career as a Navy SEAL where he dealt with the tragic death of his best friend, Denny, he’d managed to capture the heart of Denny’s younger sister, Maddie. Whatever ghosts had been haunting his brother all these years were now gone. 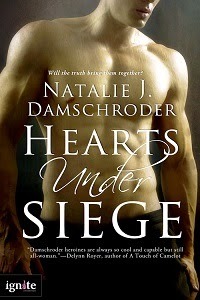 But the biggest surprise of all had been Sam, who’d had always had a passion for women and for fighting fires. He’d met his match with Summer Bigelow, a dispatcher who’d moved to South Dakota from Providence. He soon learned that the two of them had taken up residence in his old room above the garage. As he moved through the crowd of family, Wade stopped in front of Logan and peered down at the young boy who had wrapped himself around Logan’s leg. Little Keith half hid himself from view. “Daddy says you’re Uncle Wade,” he said in a small voice. Wade laughed as he crouched down. “That’s right.” He held out his hand to shake Keith’s. Keith glanced up at Logan who gave him the okay. Keith reached out and gave Wade a hard shake of his hand. “And who’s this little guy in Auntie Poppy’s arms?” The little boy buried his face in Poppy’s neck, hiding from his view. Wade already knew the little boys name. He’d done his homework before deciding to finally come home. Looking around, it suddenly dawned on Wade that he hadn’t seen Skylar in a while. Both of the boys yelled, “Yeah!” Then they pulled from her grip and ran to the other side of the yard where the picnic table was set up. Wade stared at Hawk’s face to see if he was serious, to confirm what he’d long suspected, but didn’t know as fact. It is my pleasure to welcome AAMBookclub Author Nicole Murray to Conversations today. 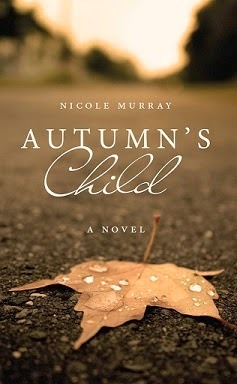 Nicole's here to talk about her new release, Autumn's Child. 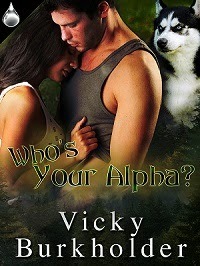 So, check out the cover, blurb, and excerpt! Autumn’s Child tells the desperate story of Layla, as a young and naive twelve year-old girl. Over ten critical years, her life quickly changes like the colors of the trees in autumn. The accidental death of her parents forces her to abandon her religious, middle-class lifestyle. She moves to the inner city of Chicago with her grandmother and aunt, her only living relatives. Layla tries to approach her new life with optimism, but the perfections of her past life haunt her tormented journey. After coming to grips with the reality over the years that her only aunt despises her, Layla soon discovers that she may secretly hold the keys to helping her aunt’s diminishing health in her hands. Layla’s faith and sanity are continuously tested as she matures throughout each season of her life. She stumbles through her newfound reality while learning how to play the distinct set of cards she’s been dealt. Layla’s neighbor and best friend, Shay, helps guide her from adolescence into adulthood. Autumn’s Child chronicles a life on the opposite side of the coin; where friendships grow out of tragedy, and the pressure of a marginalized life weighs heavily on pure souls. Layla must make many compromising decisions, all while perpetually asking the reader, What would you do? She came to me under a streetlight, with her right eye purple and a staggered step and said, “I wish it didn’t have to be this way.” I was relieved that Sadie could still talk and walk to the degree she did. Shay was a beast: I had seen her in action. When she struck, you saw your life flash in front of your eyes like blacked out memories. Sadie carried a lavender caboodle that held all of her prized possessions, her makeup. The contents she would cling to, to make her beautiful again. She formed her mouth to speak but only tears and a throbbing gasp of air escaped. The streetlight above buzzed, flickered, and died, like everything else in the inner city. In the darkness, I ran away from her and her smeared makeup, busted lip, rainbow colored jaw and eye and only looked back once to see her still standing there under the silent light. Sadie was alone in the streets. She did not chase me but I continued to run. I wanted to curse her but my mouth couldn’t move even in the distance. I ran through the alley, down a side street, up the stairs and into my apartment. I locked the door, pushed the couch in front of it with the remnants of what remaining strength I had, and clasped onto it. My mind was spinning. I wanted to feel whole again. With my eyes closed I heard Shay’s voice, dark and confirming and my heart dangled on the ledge of things falling apart. Shay asked me was I okay and I asked her why did she have to do it? I knew she had been waiting for that day, probably pacing her room counting down the seconds until she saw the red flag to pound on Sadie. I opened my eyes to see her soaking her hand in a bowl of ice as if she had done this before. I believe in reincarnation solely from following her around for the last eight years. She always knew what to do. They say that cats have nine lives and I believed that mankind does as well. With Shay’s experience she was probably on her last round. She had to have been here, to have lived this life more than once. Her sole reply was, “I can’t wait.” She paused to shuffle the ice around her hand. 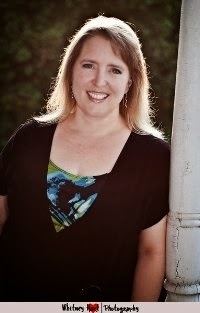 Nicole Murray is a creative writer by passion, training, and profession. She is a Columbia College graduate with a degree in Fiction Writing and Marketing. Nicole’s dual Gemini personality helps her pursue creative writing as a personal profession. Nicole explores the creative landscape of the mind to craft fiction out of real emotion. She currently writes short stories, novels, poems, and screen plays. Nicole Murray also has extensive experience in digital content strategy, content development, and social media marketing. She has developed, lead, and contributed to a number of custom campaigns for leading brands such as Comcast’s African American digital and social initiatives, The Toyota Green Initiative, General Mills’ Feedings Dreams campaign, and P&G. 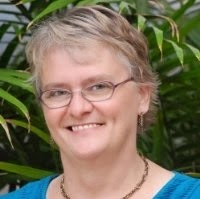 Please join me in welcoming inspirational romance author Valerie Comer to Conversations today! 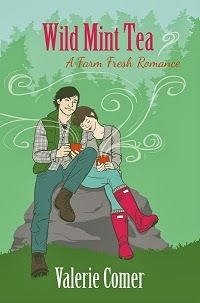 Valerie is here to talk about her new release, Wild Mint Tea, book 2 in her farm lit series, Farm Fresh Romance. So be sure and check out the blurb, cover, and excerpt below! She’s rooted deep. He flies free. Noel Kenzie loves the freedom his reforestation company affords him. Why worry about deep stuff like God and commitment when he’s in his prime? Except there’s a woman who might make it worth giving up his wings…and digging in some roots. If he dares. What had she expected to see? Not a guy of about thirty with a hint of stubble and slightly messy brown hair longer than hers. He looked up, and his brown eyes widened. He had no right to be this cute. "I'm Noel Kenzie." He rose and reached across the folding table to shake her hand, giving her a good view of a tan t-shirt stretched across a muscular chest and covering the top of a pair of faded blue jeans. A lethal combination. Better keep some distance from this one. "Hello, Mr. Kenzie. I'm Claire Halford here about the contract for feeding your tree-planting crew." Marks on her pants, nothing. If only she weren't leaving stained creases on the folder she clutched. He took his time looking her over. Could he tell this wasn't her style? She didn't do ruffles, but Sierra had insisted. Through her lashes she could see he watched her, a speculative gleam in his eye. That gleam better be about the good food she could feed his employees. He sat and motioned her to the straight chair across from him. Claire complied, laying her proposal on the edge of the table. Noel picked up the papers and glanced through the top few. "It looks like you downloaded all the pertinent information regarding crew size and dietary needs, Claire. Tell me what you can offer that's within our budget." "Yes. The crew runs about thirty people, with five vegetarians and two celiacs." Hopefully he wasn't one of the vegetarians, but what did it matter? "The menu details are on the next pages." Noel's eyebrows arched as he scanned the sheets. "This doesn't look very exotic." He wanted haute cuisine? For tree planters? Claire's shoulder muscles tightened. "More like good, healthy meals made from local ingredients wherever possible." Noel shuffled the papers to glance over a new one. "I don't mind telling you my crew is expecting a bit more flair." He frowned, still reading. "Your resumé said you'd trained in Paris and worked with a French chef in Seattle for several years?" "I did." 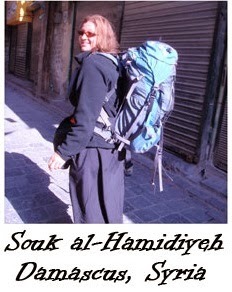 That had been enough traveling to do her a lifetime. He laid the papers down and folded strong, tanned hands over them. "I'm not seeing that influence in your menu, and I must admit those credentials are what led to this interview." "I don't have easy access to those ingredients here." She met his gaze. Noel shook his head. "Food service trucks come to northern Idaho. Where do you think the local restaurants get their stuff? I thought you'd be aware of that." Claire forced her jaw to unclench, at least enough to answer civilly. "I'm aware, Mr. Kenzie." Too bad if he didn't want to be called that. She needed the distance. "I've worked as the night chef at The Sizzling Skillet for the past year and have placed many of the orders. It's really not the same as getting fresh ingredients at Pike's Place Market." "Then, why. . .?" He raised his palms and tilted his head to the side. His wavy locks slid over one eye, and he didn't bother brushing them out. Claire’s fingers itched to reach across the table and do it for him. Focus. Not on the guy, but on the contract. The contract she was about to lose before she had a real shot at it, if she wasn't careful. And then she'd never see Noel Kenzie again. That would be a good thing. Except she needed the money.